Robin van Persie has confirmed that he is considering a return to Holland to reunite with his boyhood club Feyenoord or Excelsior, reports the Sun. 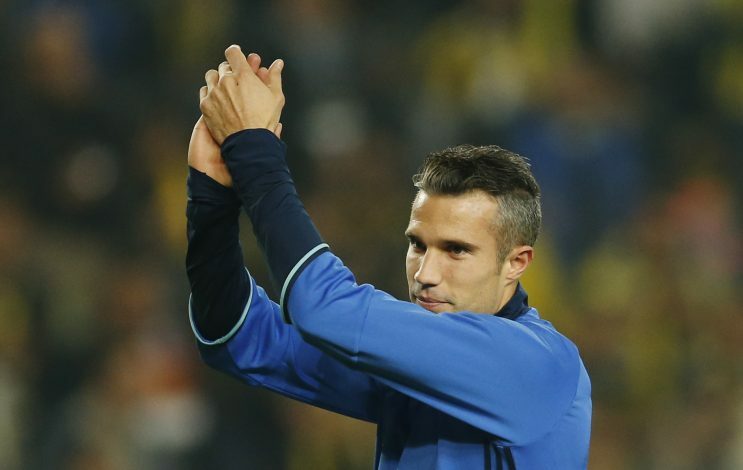 Robin van Persie has been going through a good run for Fenerbahce this season, with five goals in nine league matches after joining the Turkish club in the summer of 2015. The 33-year-old striker is now edging closer to the final 18 months of his Fenerbahce contract, and is already pondering over a potential move. Van Persie grabbed the attention of British media after a lot of speculations linked him with a shock return to the Premier League during the summer, yet going back to the Eredivisie now seems a strong possibility. “Coming back to the Netherlands is becoming a serious option. And then only at Feyenoord and Excelsior,” he recently said. Excelsior Rotterdam has become a point of interest, as the Dutchman played in their academy until he was 16. Van Persie secured a win over his former club Feyenoord, with whom he began his career, on Thursday after helping Fenerbahce to a 1-0 victory to finish top of their Europa League qualifying group. The 33-year-old attacker is actually showing no sign of slowing down with age, having netted seven times and assisted twice this season across all competitions. One of his goals came on his much-anticipated return to Old Trafford, where the whole stadium stood to applaud van Persie’s consolation goal during Fenerbahce’s 4-1 defeat to Manchester United. The Turkish giants are planning for a loan move for either Oscar or Isco in the January transfer window, so they might decide to get van Persie’s huge salary off their books if the striker is considering a transfer.